January 14 (which was yesterday) as the annual National Dress Up Your Pet Day. Animal parents all over the world celebrated by dressing up their pooches (and kitties) in all kinds of cute dog clothes, costumes, and dog accessories – like sunglasses, hats and such. 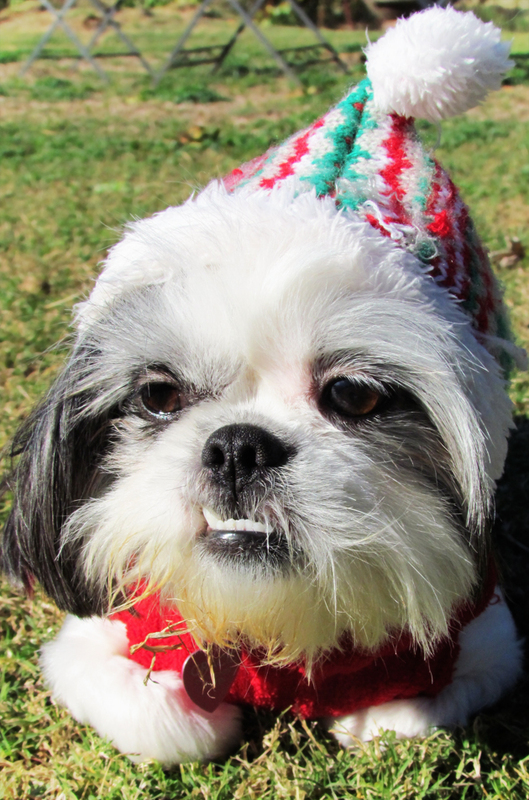 Since my Mama is obsessed with dressing me up… of course, I did have to wear an outfit. Here’s a photo of me as an Elf… Nope, I wasn’t exactly pleased with the get-up. I hate wearing anything on my head. Not bows, not hats… Nothin’ but I do look cute – to humans anyway. 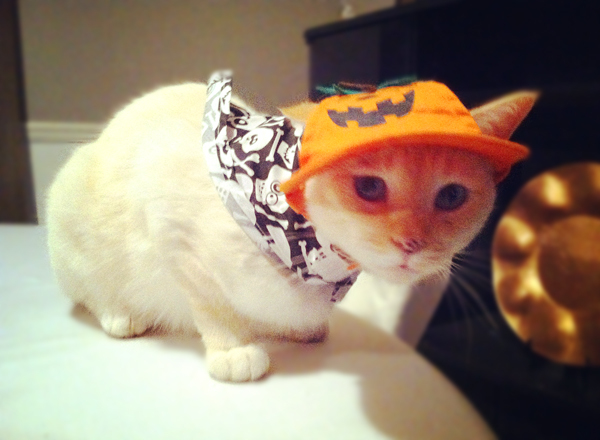 And of course, we can’t leave out Mr. Pumpkin (my furry cat brother – the flame point Siamese). This photo is from Halloween, but it’s purrrfect to share for today’s post. And of course, we can’t end this post with just two photos… You may also enjoy these funny pet pictures of animals in costume, thanks to Pinterest. I think they’re all just too, too adorable. Humans are so weird, don’t you think? They love torturing us with costumes and clothes. Sheesh! Happy Belated National Dress Up Your Pet Day! Haha, I love these pictures of animals with clothes! I hope they had as much fun!